Do you have minor aches and pains that come and go (but never go away)? Visit Dr. Jennifer Stoskus, PT, DPT, NCS for a mobility assessment and injury prevention evaluation. 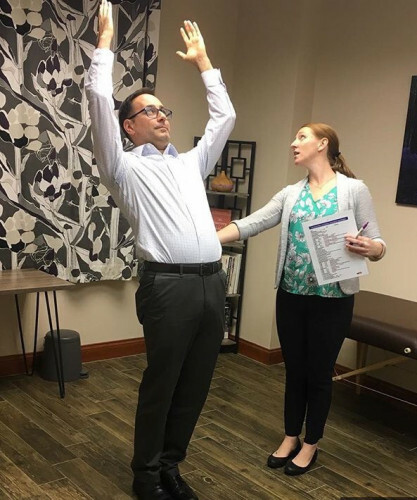 She will use traditional physical therapy examination skills as well as specific mobility assessment to determine the root cause of your problem, then develop a program for you to follow to improve pain and reduce risk for re-injury. Dr. Jen values time and education, and her philosophy is to educate YOU in how to treat yourself and manage your symptoms ON YOUR OWN. No pain now, but worried about your posture? No problem, the same evaluation skills apply followed by an individualized treatment program. Why wait for that nagging pain to go away on it's own (or get worse!)? Book an appointment with Dr. Jen today, or call for a free consultation.